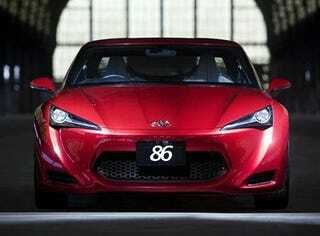 Toyota's registered the trademark "86" as a possible name for the upcoming Toyota FT-86 sports car, possibly dropping the alpha for plain old numerics. There are more rumors about the highly anticipated Toyota FT-86 than there are actual facts. The gossip's ranged from imminent redesigns to less-than-imminent production and even a Solara-like future. And the name? Toyota has already registered FT-86 and FR-S, so it's possible that the company is just covering its bases with the June 18th American filing of "86." Or maybe Toyota's trying to reach back to a time in their history when they built cars like the AE-86, which were known for performance, not persistent recalls. Toyota FR-S Is The New FT-86?